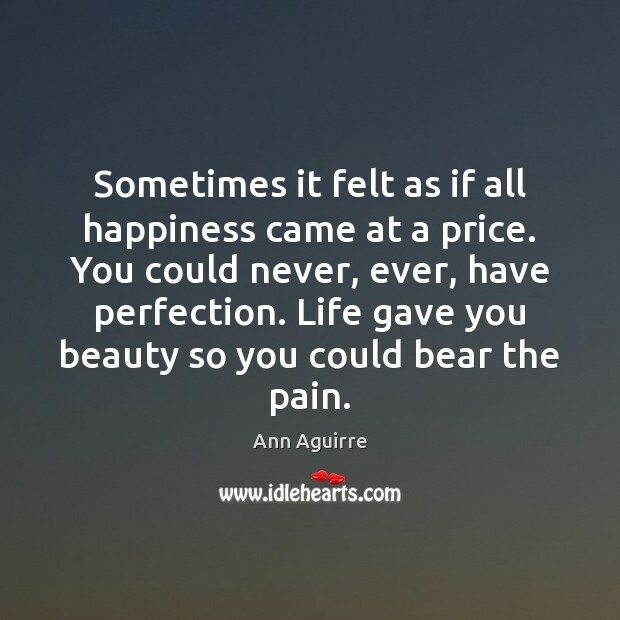 Enjoy the best inspirational, motivational, positive, funny and famous quotes by Ann Aguirre. Use words and picture quotations to push forward and inspire you keep going in life! 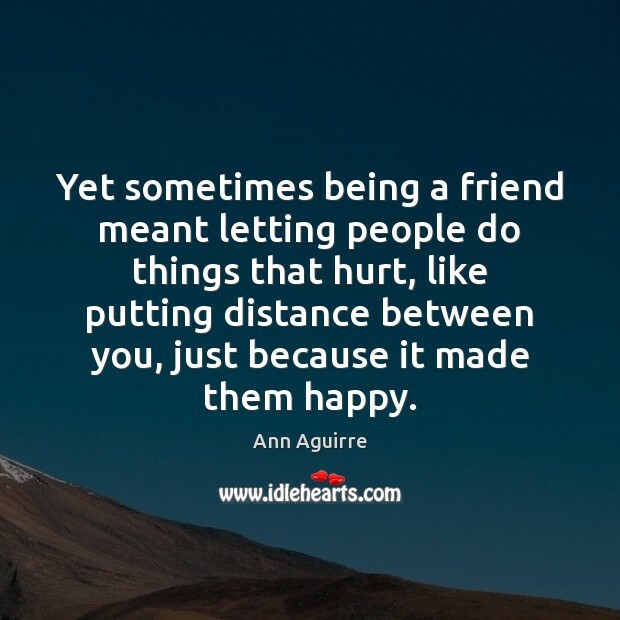 Yet sometimes being a friend meant letting people do things that hurt, like putting distance between you, just because it made them happy. 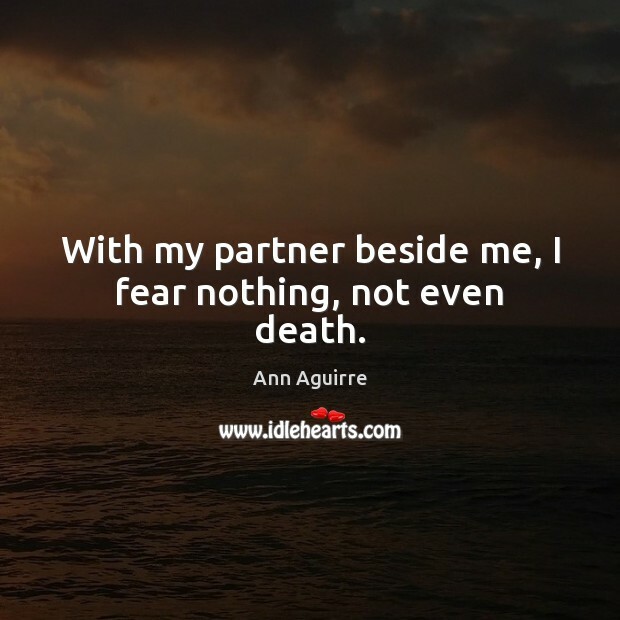 With my partner beside me, I fear nothing, not even death. 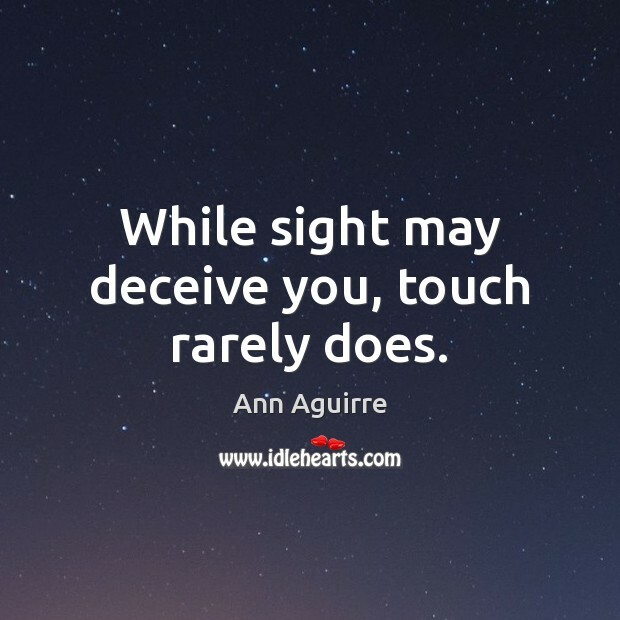 While sight may deceive you, touch rarely does. 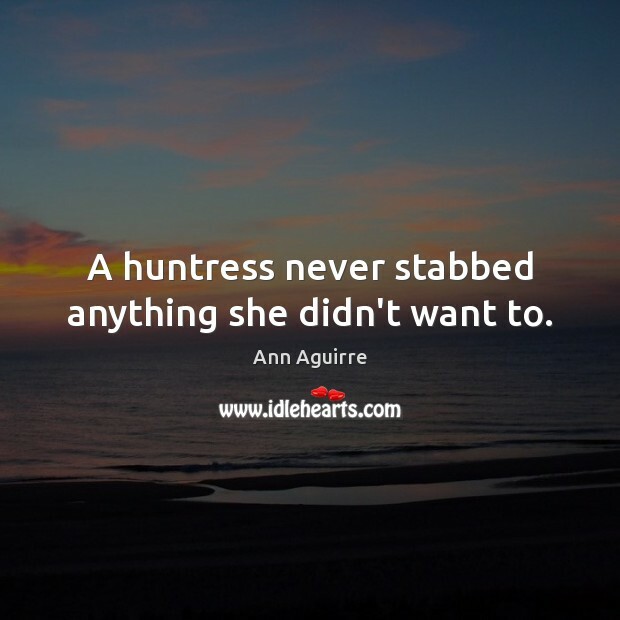 A huntress never stabbed anything she didn't want to. I swept down the stairs to find Fade waiting for me at the bottom. His dark eyes widened, and for the first time since I'd known him, he was speechless. He stared up at me like I was everything he ever wanted. 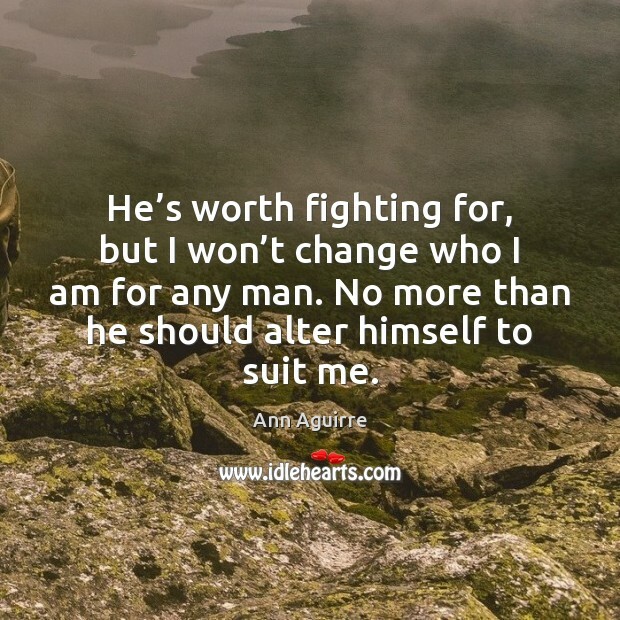 He’s worth fighting for, but I won’t change who I am for any man. No more than he should alter himself to suit me. 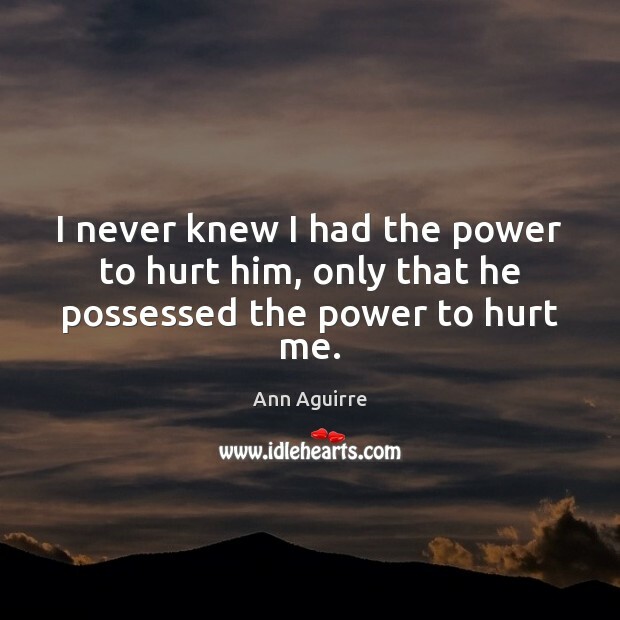 I never knew I had the power to hurt him, only that he possessed the power to hurt me. 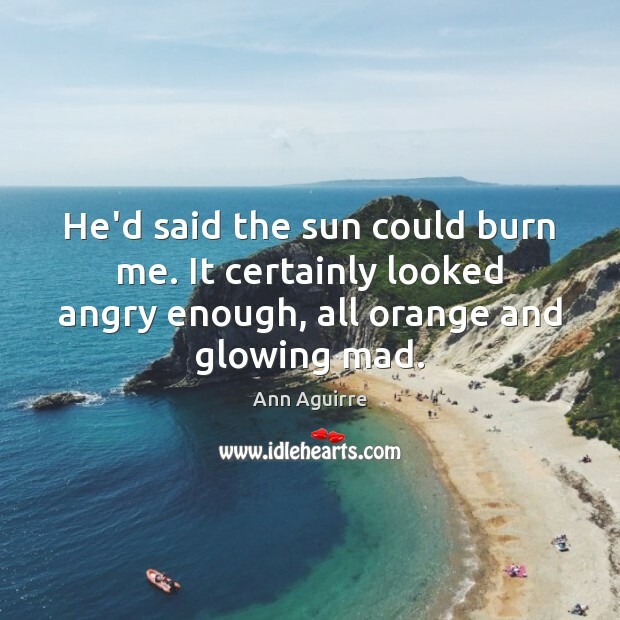 He'd said the sun could burn me. It certainly looked angry enough, all orange and glowing mad. I admired Stalkers style. 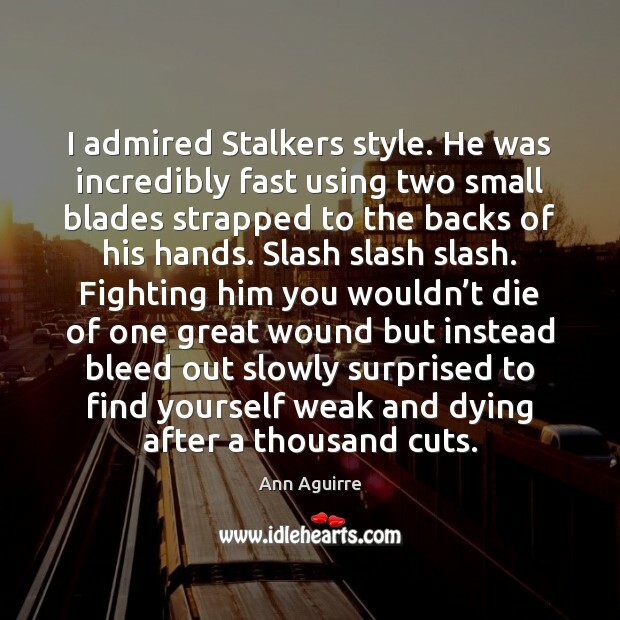 He was incredibly fast using two small blades strapped to the backs of his hands. Slash slash slash. Fighting him you wouldn’t die of one great wound but instead bleed out slowly surprised to find yourself weak and dying after a thousand cuts. 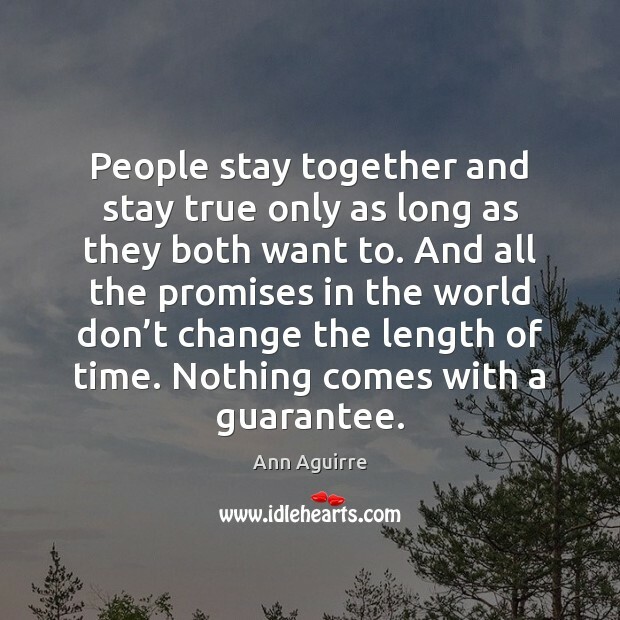 People stay together and stay true only as long as they both want to. And all the promises in the world don’t change the length of time. Nothing comes with a guarantee. 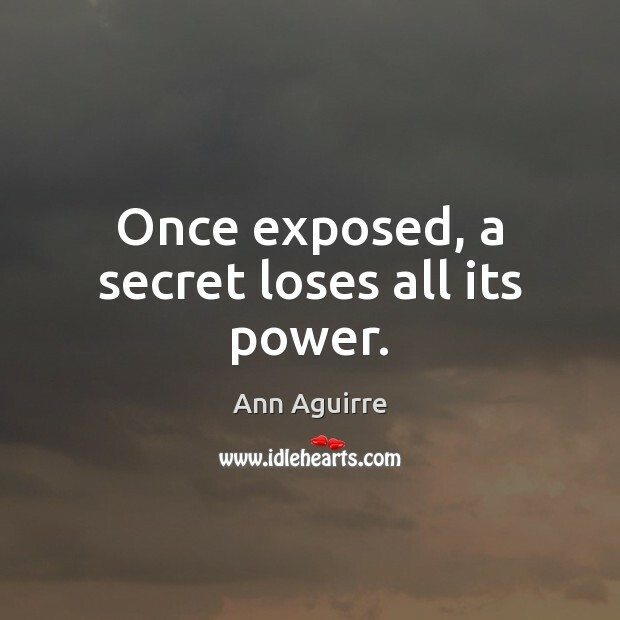 Once exposed, a secret loses all its power. 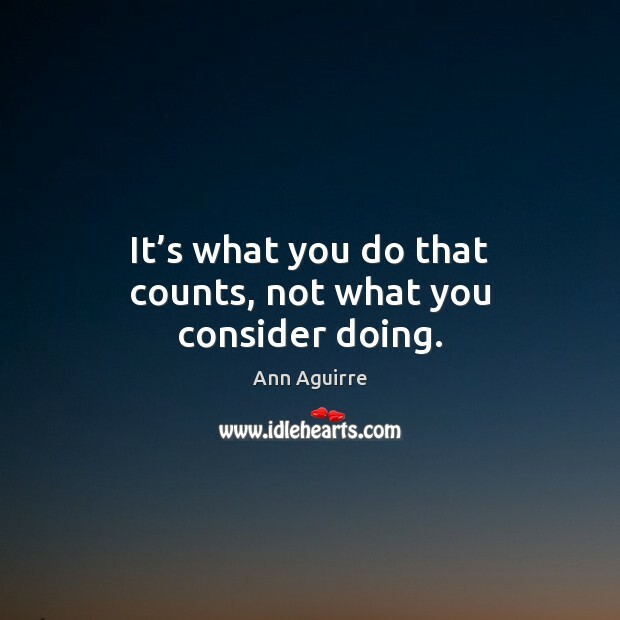 It’s what you do that counts, not what you consider doing. 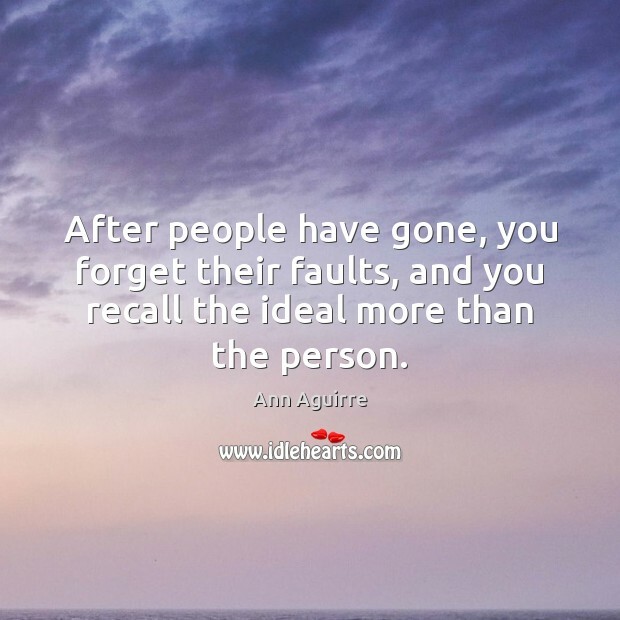 After people have gone, you forget their faults, and you recall the ideal more than the person. Sometimes it felt as if all happiness came at a price. You could never, ever, have perfection. Life gave you beauty so you could bear the pain. 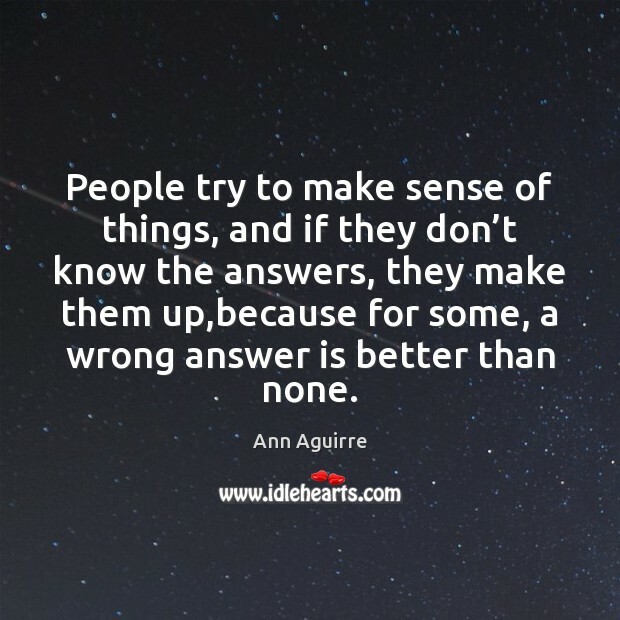 People try to make sense of things, and if they don’t know the answers, they make them up,because for some, a wrong answer is better than none. You can live without me." "I don't want to." 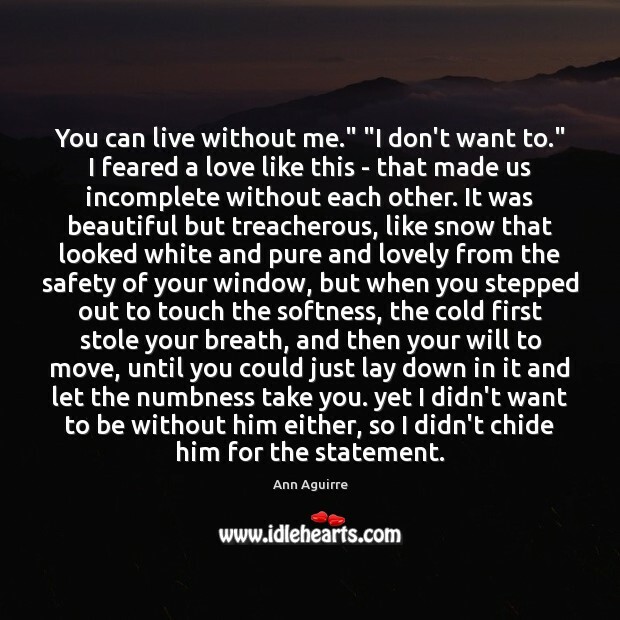 I feared a love like this - that made us incomplete without each other. It was beautiful but treacherous, like snow that looked white and pure and lovely from the safety of your window, but when you stepped out to touch the softness, the cold first stole your breath, and then your will to move, until you could just lay down in it and let the numbness take you. yet I didn't want to be without him either, so I didn't chide him for the statement. 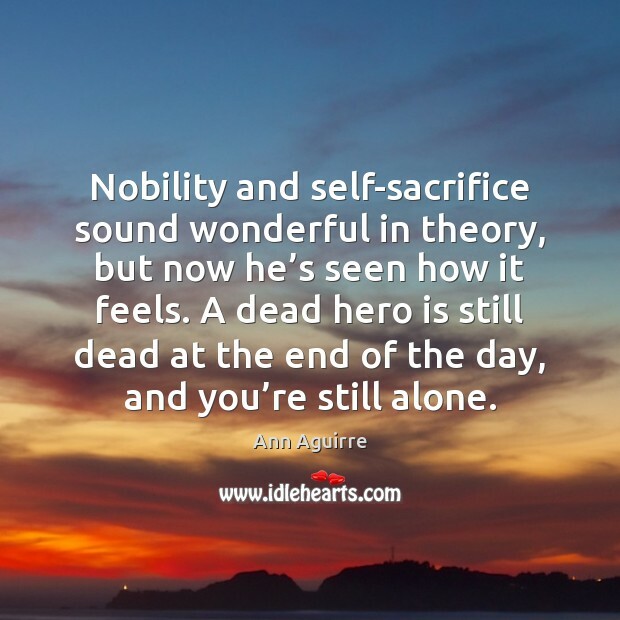 Nobility and self-sacrifice sound wonderful in theory, but now he’s seen how it feels. A dead hero is still dead at the end of the day, and you’re still alone.